Rain gardens are a natural way to beautify your landscape while implementing an environmentally sound solution to stormwater runoff. The benefits of having a rain garden range from removing standing water in your yard, recharging local groundwater and conserving water to reducing the amount of pests in your yard, creating habitat for birds and butterflies, and reducing the potential of home flooding. Rain Gardens are designed to contain and absorb water that would otherwise run off a roof or parking lot and end up in the storm drain. Their size can vary, and they can fit into odd shapes and spaces. They are an excellent method of keeping stormwater on site and out of the sewer system. 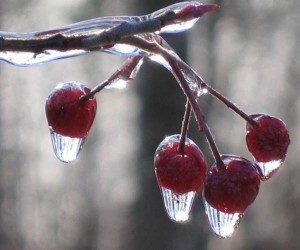 On this page you will find a range of resources for understanding, designing and maintaining a rain garden in your yard. The Ocean County Soil Conservation District has teamed up with several partners to plant display rain gardens at Jakes Branch County Park to demonstrate the variety of plants that can be included in a full shade garden, wet soil garden, full sun and so on. Please find more information about this project on our Soil Health Improvement Project webpage. 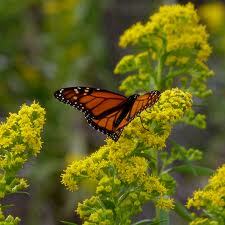 Choosing the right plants will naturally repel pests and attract butterflies. The United States Environmental Protection Agency has created a pamphlet that outlines all of the essential steps to building a rain garden. 1. Build and maintain a healthy soil with compost and mulch. 2. 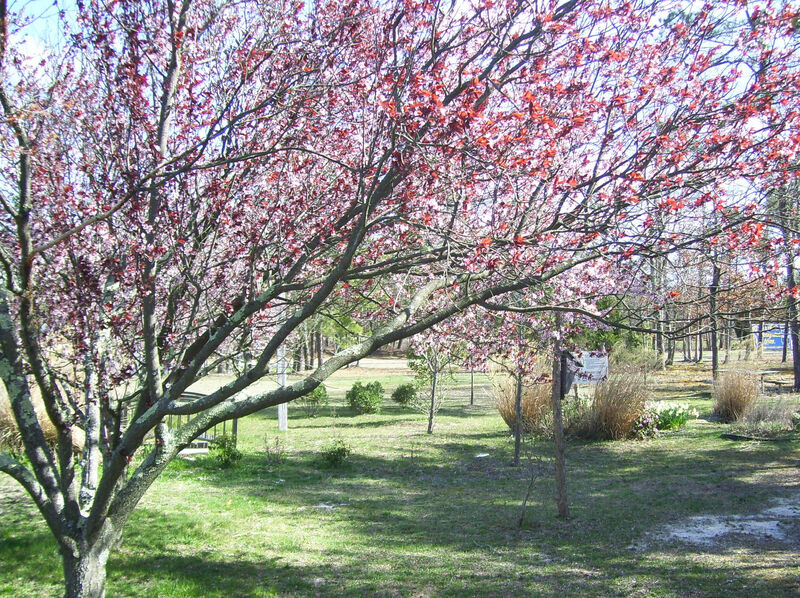 Get to know your yard and decide where the best location is to plant. 3. Practice smart watering for healthier plants. 4. Adopt pest control practices that do not involve chemicals. For the full brochure published by the EPA, click here. 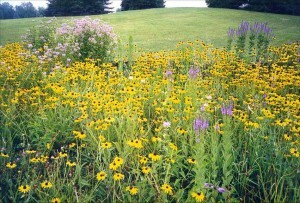 The Native Plant Society of New Jersey published a Rain Garden Manual for New Jersey. This manual includes all information on general facts about rain gardens, what plants to include in an NJ garden, and all tips on planting and maintaining the garden. This is an extremely useful resource all gardeners, ranging from beginning to expert. Please click here to download the entire Rain Garden Manual for New Jersey. 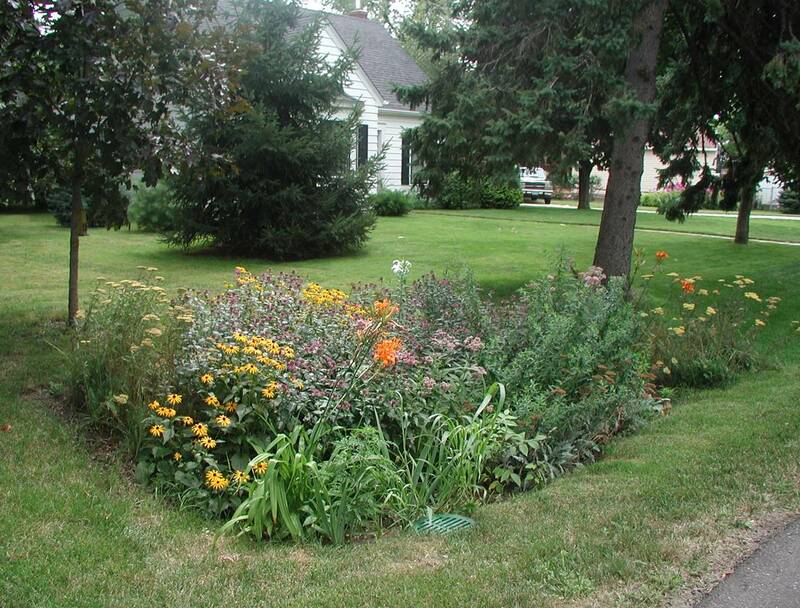 The Wisconsin Department of Natural Resources published and in-depth manual for new gardeners approaching their first rain garden. This manual includes Frequently Asked Questions, how to perform your own soil test, as well as which plants to plant in different environments (for example, full sun and sandy soil, or partial sun and loamy soil). This manual will help you every step of the way in learning about the best way to plant your rain garden. 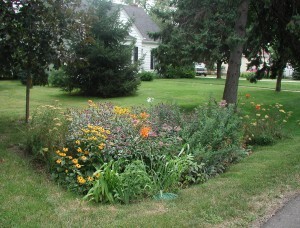 Please click here to download Rain Gardens: A How To Manual for Homeowners. Barnegat Bay Partnership’s “Going Native” Guide to Landscaping with Natural Plants In 2012, the Barnegat Bay Partnership published a brochure, “Going Native: A Guide to Natural Landscaping with Native Plants in the Barnegat Bay Watershed” which offers tips, suggestions, and easy to use plans for creating a natural landscape for your yard. The following is a list of native plants that you can plant in the Northeast and Middle Atlantic States that will help build a beautiful garden, as well as attracting butterflies, birds and other wildlife. Be sure to consider the amount of sun or shade available for these plants before you plant them. Trees and shrubs in a garden enhance the aesthetics. 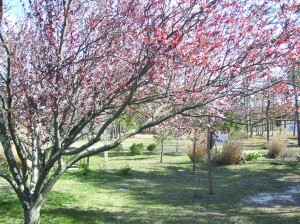 The Native Plant Society of New Jersey features all native plants for New Jersey, and provides tips on how to keep a garden looking beautiful throughout all four seasons! Please visit their website by clicking here. Also provided by the Native Plant Society, here is a list of nurseries throughout the state that sell native plants.